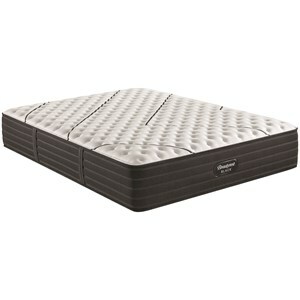 The L-Class Extra Firm King 13 3/4" Extra Firm Pocketed Coil Premium Mattress and 5" Low Profile Foundation by Simmons at Baer's Furniture in the Ft. Lauderdale, Ft. Myers, Orlando, Naples, Miami, Florida area. Product availability may vary. Contact us for the most current availability on this product. 700810116-6020 Twin Extra Long 5" Low Profile Foundation 2 5"
700810012-1060 King 13 3/4" Premium Mattress 1 13.75"